Concentrates have come to dominate the legal cannabis market. Here in Denver Colorado concentrates are everywhere. Whether you go to a medical marijuana dispensary, or a recreational marijuana store, you will be inundated with concentrate choices. Being located in Denver Colorado allows Aux Ark Trading to stay ahead of the curve when it comes to wholesale concentrate pipes. Styles, as well as terminology of wholesale concentrate glass pipes are continually changing. Whether you are looking for wholesale oil rigs, wholesale concentrate pipes, wholesale dab rigs, Vapor Rigs, titanium nails, titanium dabbers, oil domes, quartz nails, glass nails, or silicone jars Aux Ark Trading has you covered. AuxArkTrading.com sources all of it's wholesale concentrate pipes, wholesale oil rigs, and wholesale dab rigs direct from the manufacturer. 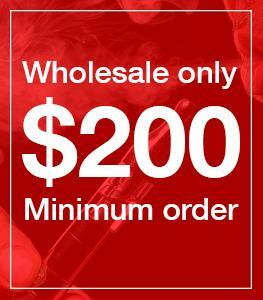 With no middle man involved in the supply chain it allows Aux Ark Trading to keep our price on wholesale concentrate pipes low. Aux Ark trading carries a large selections of wholesale concentrate pipes, maintains direct supply from the manufacturers, stays in touch with the industry by being located in Denver Colorado, and has the man power to supply even the largest wholesale concentrate rig order. For these reasons thousands of marijuana dispensaries, recreational marijuana stores, smoke shops, novelty stores, and other retail outlets choose auxarktrading.com as their go to concentrate pipes wholesale supplier. 6" Long Made From Pyrex Glass Made In America Roll Stop..
6" Ameircan Made Wholesale Dab..
8" Tall .50" Diameter Mouth Piece 2.50" diameter Base Dotted Glass Design Sherlock Style Dab..
10" Tall 1.25" Diameter Mouth Piece 3.5" diameter Base Inline PercolatorWater Recycler .. Double Tube Recycler Oil Rig Inline..
10.5" Tall 1.25" Diameter Mouth Piece 3.85" diameter Base Inline Percolator6 Arm Water R..
Octopus 6 Arm Inline Recycler Dab R..
9.75" Tall 1.25" Diameter Mouth Piece 3.5" diameter Base Inline PercolatorTriple Water R.. 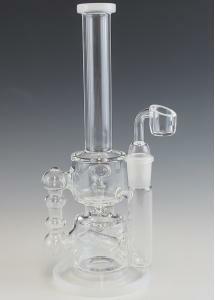 The Curly Q Triple Recycler With In..